The first thing to do on coming back was to check my 6 Papaya trees which I bought 4 weeks ago to see if they are still alive. They cost $7.50 each without G.S.T. at the Sunday market. Yes, thanks goodness, they are still looking good. The only plant I do not have in my backyard is a banana tree. Do you plant vegetables in your garden ? I have been trying to plant lady's finger (okra) in my little backyard in Malacca. I have a "buddy" from Malacca who now live in SJ. He has acute diabetes.. Someone told me drinking lady's fingers juice can lower the blood sugar and I recommended him to try. It works quite ok for him.. He is a retiree. Diabetic medicine is not cheap (even before GST) and his children kind of don't take care of him much. You know vegetable is also not cheap in SJ. I am thinking if the lady's fingers can grow well in my house's backyard, I may occasional bring this vege to him when I travel to Malacca..
No lah, no okra in my backyard as we move around a fair bit. I did not know okra can cure diabetes. To the best of my knowledge, none of my friends in all the places have such a disease. Consider also FENUGREEK seeds - these seeds have been researched and reported to help control diabetes but do check on Google. CAUTION (read up the online medical research): If the patient is already on insulin, fenugreek drink may cause hypoglycaemic conditions. It is easier to drink the boiled water of these seeds (after overnight soaking). You can get the organic version from organic shops. I always advise my diabetes-stricken buddy to treat this herbs as supplementary to medicine. The main control should always be the prescribed medicine from doctor.. So many experts on traditional medicine here? What about clogged blood arteries (artheriocloresis), what is the best trad herbs ? "As one grows older, one has to eat healthier. So, add more vegetables into the mix "
See the effects of Goji (枸杞 or wolfberry) on body pH balance - the level of alkalinity vs acidity in the blood and its reforming effect. The research was done by Dr. Victor Marcial-Vega from John Hopkin Hospital. 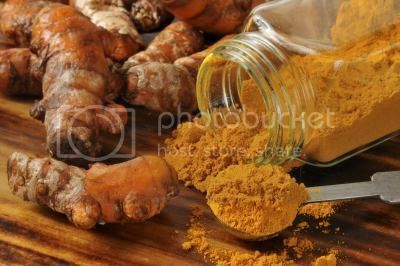 Turmeric was used since more than 2500 years ago. Lord Buddha and all the early Buddhist monks use the orange-yellow coloring obtained from the matured rhizomes of this plant to dye their robes. Also called the "yellow ginger", it is often used as a treatment for jaundice, irregular menstruation, stomach problems, abdomen pain, chest pain, back pain, diarrhea and dysentery. One of the proven medicinal benefits of turmeric is its anti-thrombotic properties or ability to inhibit blood clotting. A 1999 study in “Biochemical Pharmacology,” a 2005 study in the “Journal of Physiology and Pharmacology” and an ongoing study begun in 2009 by the USDA have shown that Curcumin, a chemical in turmeric, reduces the risk of clogged arteries, strokes and heart attacks. 枸杞 (wolfberry) is good. We often add them into soap and fish porridge..
Just have to be VERY CAREFUL of the source. Unscrupulous distributors add faked wolfberry which has been dyed with red color. Can't differentiate with naked eyes. Buy from trustworthy shop (if you know them) or from reputable shops. Greenwich, thank you for your info. In fact, I take Goji everyday as supplement for my eyes since I read a lot due to work nature. However, I am surprised some are dyed. I thought Goji is not a very expansive stuff. These unscrupulous merchants truly heartless. 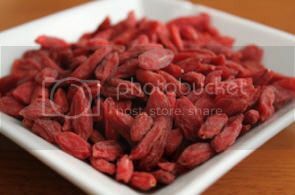 Although it is not a very expansive stuff but when the quantity is huge, there is substantial $$$ to be made too by supplying faked goji or poor quality goji which have been dyed red to look attractive... !! Believe it or not, we just talk about fake Goji. Now they discover China has fake rice too. Someone send me this video on the production of fake rice in China which was uploaded to YouTube about a week ago. Watch out if you buy rice imported from China. The PRC Chinese will be quick to tell you "They are clever to be able to do such thing"
p/s..........they may have add in some herbal ingredients to the fake rice that can cure all. Last edited by Naka; 13-05-2015 at 07:08 PM.